I really love strawberries. Back in Germany we were planting them in our garden and each summer I could eat plenty. My mom and I made delicious strawberry cakes and I often took them with me as snacks for work. 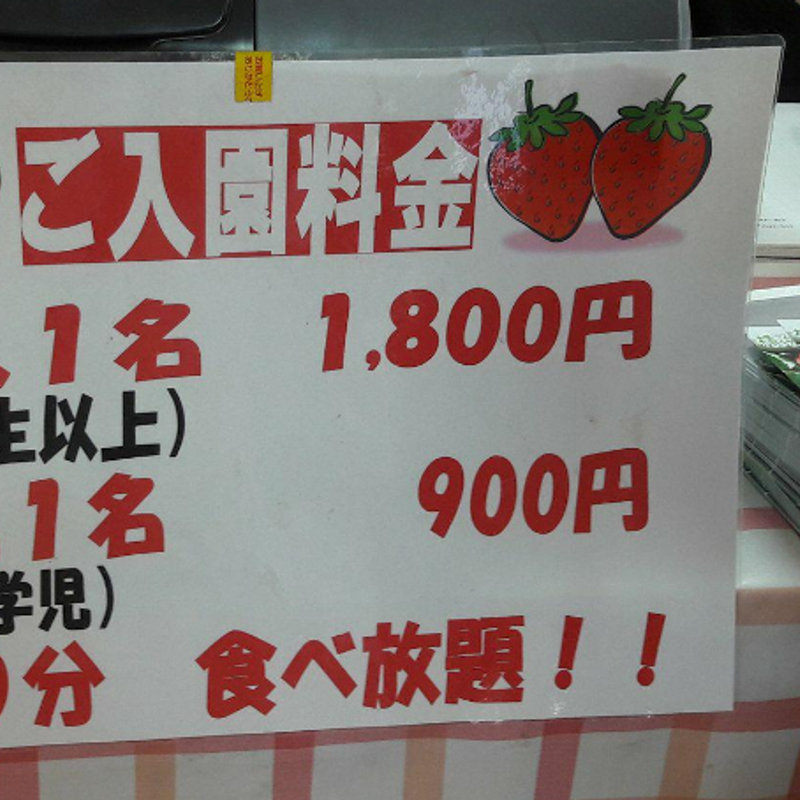 This unfortunately changed when I moved to Japan, because I had to realize that strawberries are very expensive here. Especially when you look around upper-range supermarkets and department stores it's not unusual that you see a pack of 12 nicely packed strawberries for about 1,000 yen. What the…? For sure, there are also cheaper ones and I am very happy that I found a grocery store close to my work selling packs of small strawberries for 200 yen. For sure, these are not the huge pretty onces, but they are still very delicious. 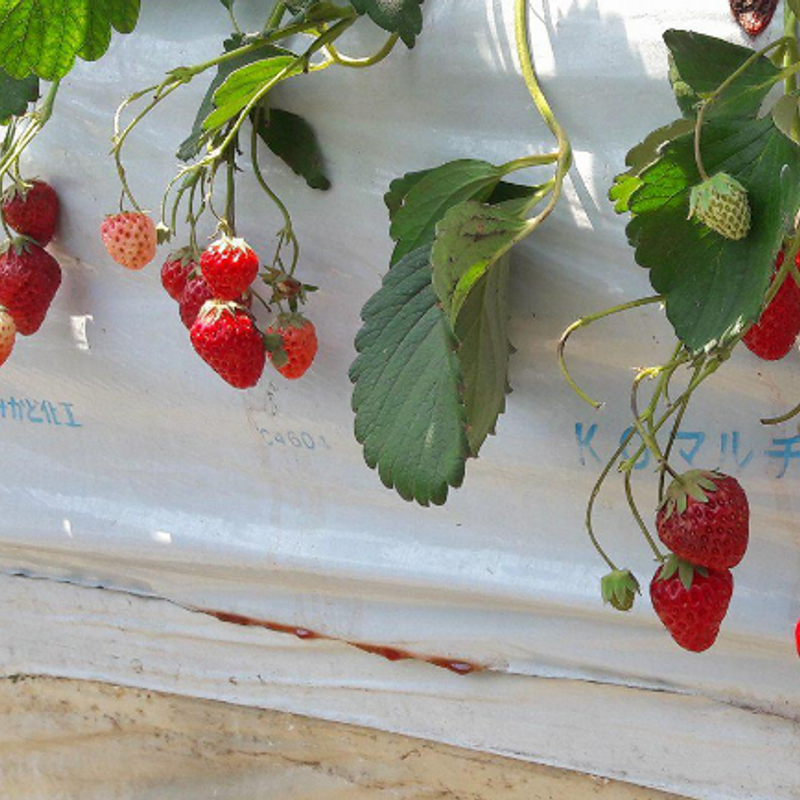 Last year we went on a trip to Kofu with my husband’s colleague and we stopped by a strawberry farm. They wanted to introduce this kind of place to me, because fruit picking actually is quite popular in Japan. 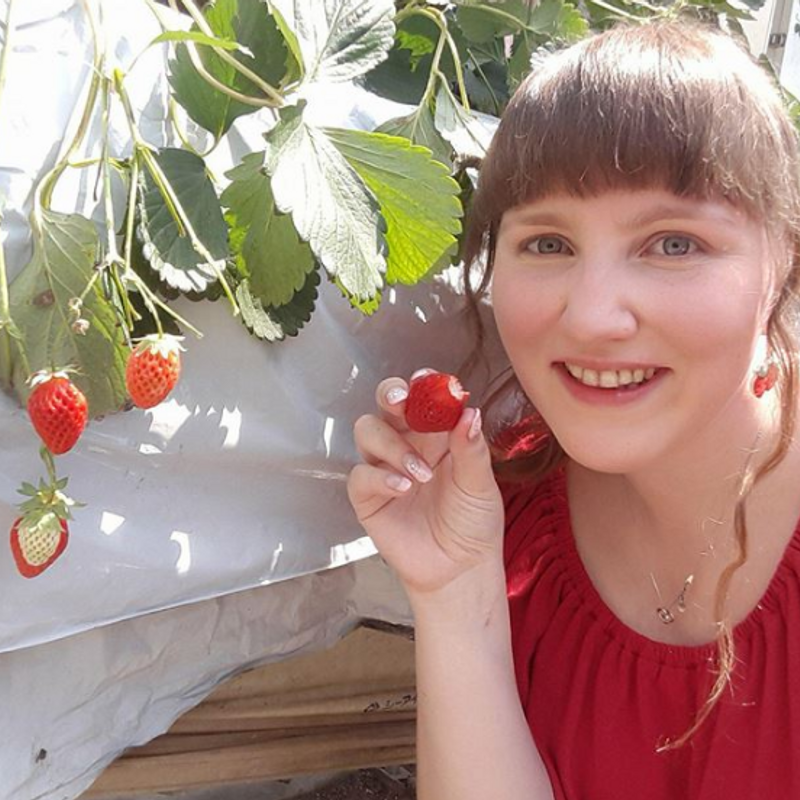 I ate 60 strawberries within 30 minutes and we decided to visit a strawberry farm next year again. Now, 2018 has already been up and running for nearly four months and it was time to do so! After some research on the Internet we found a strawberry farm close to my parents-in-law’s house and we decided to visit there on a Sunday morning. Actually, it was a super warm sunny day, 28 degrees outside, which made the trip a little bit troublesome, but more about this later. 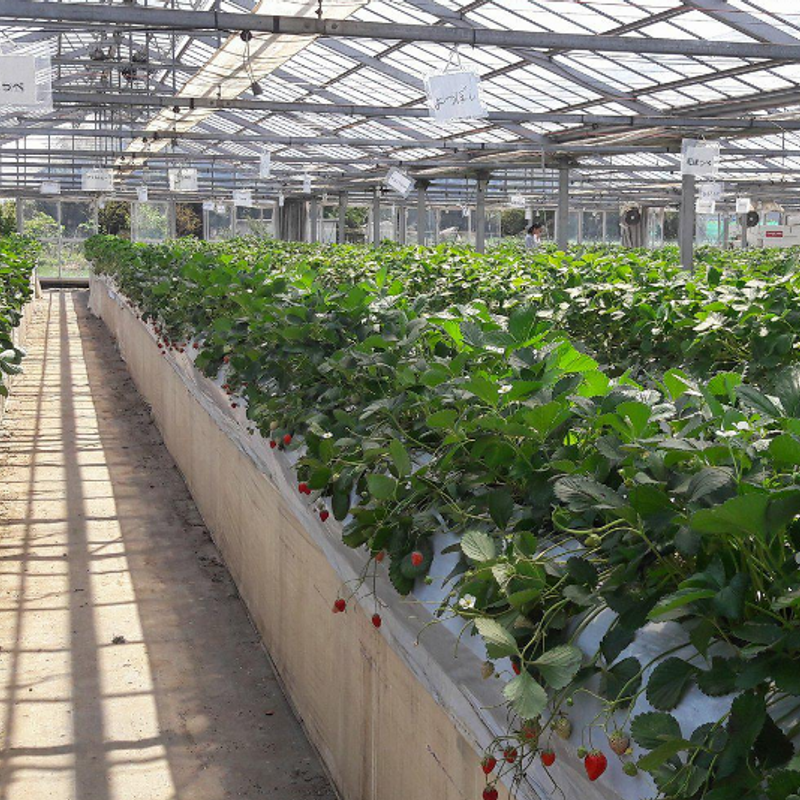 The farm I am talking about is the Tokue Strawberry Farm (in Japanese: 徳江いちご農園) located in Ichigao on the Denentoshi line in Kanagawa. We went there by bus which takes just a few minutes and costs 220 yen one-way. If you are good on foot, you can walk there within 20 minutes from Ichigao station, but we decided for the bus because it was too hot. They also have free parking if you go by car. The strawberry season at this farm mainly goes from the middle of January up to the middle/end of May. For this, the prices are also dependent on the season. During the high season from the beginning until the beginning/middle of April you have to pay 2,000 yen for a half hour of strawberry all-you-can-eat. We went in the middle season, paying 1,800 yen for it. The ending season this year starts at the end of Golden Week costing 1,400 yen for adults. Children from 2 years to the end of kindergarten pay half price. We went on Sunday for the 11:30 session and I was surprised that many people were waiting there for it. But luckily it was not too many people, so you could still enjoy the picking. The farm has a lot of different sorts of strawberries and it was interesting to try them out even though I couldn’t find big differences. You get a plastic container with sweet milk to dip the strawberries in which is really delicious. Because the sun was burning down it also got super warm and humid in the greenhouse and the sweat started running. Everyone was complaining about the heat, but we kept on eating. I got my new record: 71 strawberries in 30 minutes! 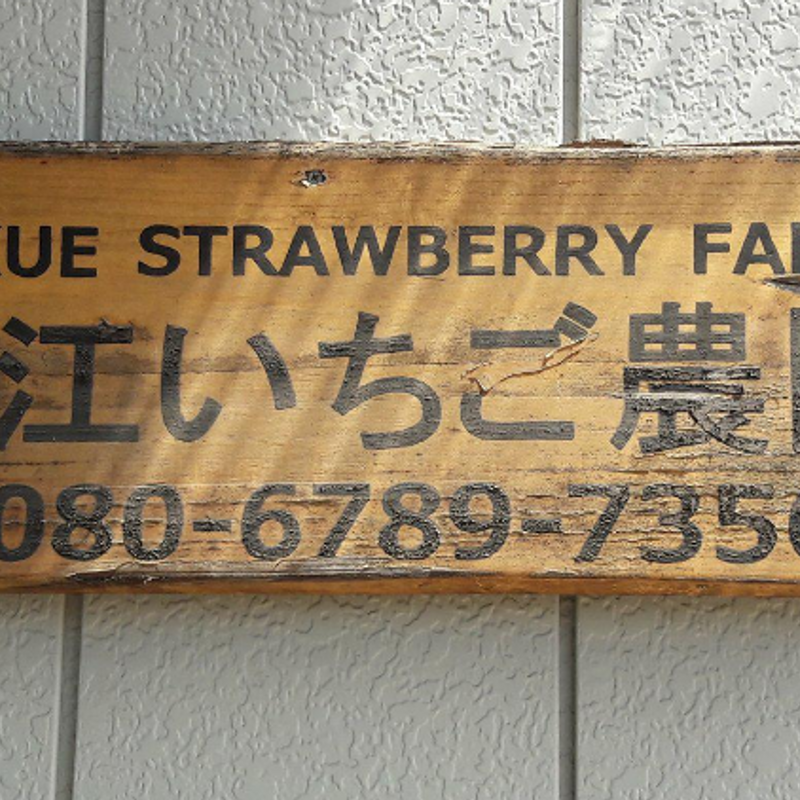 The Tokue Strawberry Farm has uncertain opening times so it is better to check their website / blog beforehand, or call them. 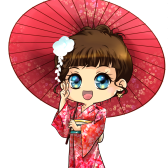 A reservation is not required but might be helpful especially when you plan to visit on weekends or during Golden Week. I also recommend going there in the morning, because it can be difficult to find good strawberries when many people have already picked them – even though they have different sections – and also, it can happen that the farm is closing earlier, because of this. All in all, I enjoyed my visit there and am looking forward to visiting a strawberry farm next year again. Let’s see if I can make a new record then! Awesome! This sounds like lots of fun. Are you allowed to take any of the strawberries away from the farm or it’s only picking and eating? @Candiajia1 It depends on the location. Some allow it, some not. And usually you have to pay an extra fee if you want to take them out. At this place it is forbidden to take strawberries out, but you can buy some outside. @YokoLostinJapan, thanks much for that information. I will definitely do some digging around to see if any such farms are close by me.